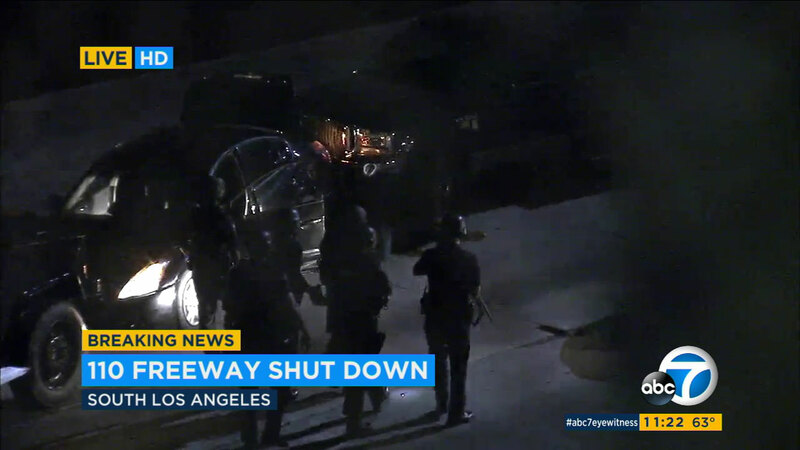 SOUTH LOS ANGELES (KABC) -- A suspect was taken into custody late Saturday night after a standoff with police that shut down the southbound side of the 110 freeway, backing up traffic for miles. The man, who was seen talking on a cellphone, was shot with non-lethal beanbags before officers moved in and the suspect surrendered. The standoff happened near the southbound exit of Exposition Boulevard, when officers tried to pull the suspect over on suspicion of DUI. There was no immediate word on any charges.